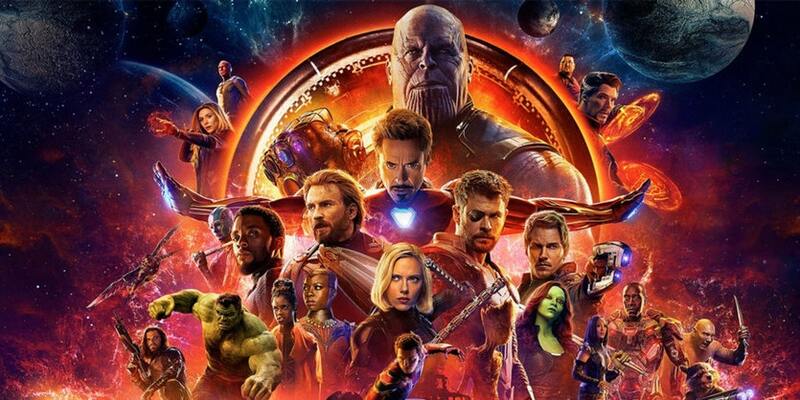 With the release of the third Avengers film, Avengers: Infinity War (2018, USA, Russo), the Marvel superheroes come together once again, to stop villainous Thanos from collecting all the Infinity Stones and killing half of the universe. While typically superheroes are excluded from the same mortality us humans face, the opening scenes of Infinity War suggest otherwise. The ship carrying Thor, Loki, and others fleeing their recently demolished home planet is ambushed, and destroyed by Thanos and his team, aggressively seeking out Infinity Stones, and taking down anyone in their way. Heimdall is the first of many to perish, as he sends Hulk to earth escaping Thanos’ attack, and is stabbed through the heart as a result. Then, after Loki also attempts to take Thanos’ life, he is grabbed by the neck and held in the air until he can no longer breathe, his lifeless body dumped in front of a restrained and devastated Thor. Death is presented here as a real possibility for the strong heroes of the Marvel universe, which heightens the reality and anticipation of the action still to come. When war later breaks out at the border to Wakanda, T’Challa’s troops battle alongside our heroes against the Outriders, and many fall from both sides. These deaths, as well as Thanos’ cleansing of overpopulated planets, suggest the Marvel heroes are unable to always save the day. As beloved protagonists dissolve into thin air, the remaining characters and the film audience are left with the realisation that everyone becomes vulnerable once Infinity Stones are in the wrong metal hand. Gamora: The entire time I knew Thanos, he only ever had one goal, to bring balance to the Universe by wiping out half of all life. He used to kill people planet by planet, massacre by massacre. Gamora: If he gets all six Infinity Stones, he can do it with the snap of his fingers, like this. And now Avengers fans wait until 2019 to see if Thanos’ fingers can be un-snapped, or if Spiderman, Groot, and co. are lost forever.